It’s fun to mix things up now and again, so we’ve put our twist on theclassic raglan top. 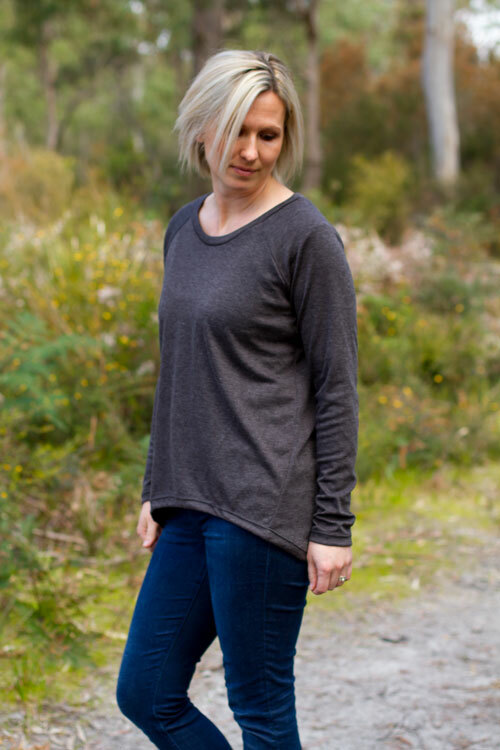 Playful twisted side seams, extending to the front of the top give the Raglan Twist Top a super-flattering shape making it easy to wear for every body size. With short, three-quarter or full-length sleeve options you can decide whether to finish the sleeves by adding cuffs or simply turning-up the sleeve hems. The curved back hem and slight-bell shaped silhouette flatters your figure so cleverly that you’ll want to wear it with everything. Experiment with different colour and pattern combinations, throw on with skinny jeans or a straight skirt and the Raglan Twist Top will fast become your new go-to!